And we’re so over it. After years of being considered a non-essential job for people little qualified for anything else (oh, wait, that’s still a stereotype), nurses are finally being recognized as a vital and legitimate presence in any medical establishment. 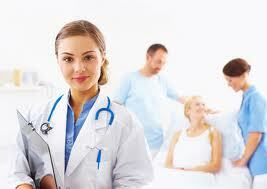 This is partly due to the media’s attention paid to the worldwide nursing shortage. But we don’t know which is sadder: that there’s a nurse shortage, or that there’s only a shortage because of the discriminatory nature of the medical field. Truth be told, the number of students wanting and learning to become nurses is extraordinarily high—but there are few capable nurses around to teach them the ropes. Many have quit, partially due to the same conditions that drive the nurse stereotypes. Women experience emotional exhaustion, cynicism, and, in the final stage, doubt in the quality of their performance as burnout begins to affect their patients’ lives. Imagine the nurses supporting such a cynical, defiantly in denial physician. Hospitals save money and so they cut jobs, often those of nurses, letting such cynical doctors to stretch remaining nurses thin despite shrinking paychecks. This is why many nurses have quit the workforce, leaving few to teach younger applicants how to do their job. Nurses don’t just give food and water to patients while growing fat in their scrubs. Neither do they leap into bed with hunky doctors or injured football players at every chance. Not all male nurses are non-heterosexual, effeminate, or doctor-dropouts. Yet these are the stereotypes. Male or female, straight or not, nurses develop plans of care for patients, often working in sync with physicians and acting as go-betweens. When nurses or doctors are stretched thin, details begin to fall through the cracks. Patients are imperiled. Livelihoods are terminated. To be fair, there is also the male doctor stereotype—the hunky one patients fall for, the creepy one who hits on the nurses. Maybe a competitive, sharp-tongued, eagle-eyed female doctor who must fight for authority in a male-dominated work environment. But are any of these leading to a shortage of essential members of staff that causes lives to be endangered? Heather Green is a mom, freelance writer, pet lover and the resident blogger for OnlineNursingDegrees.org, a free informational website offering tips and advice about online nursing programs in texas.